When was the last time you enjoyed a moment of silence? Not a pause in conversation, a burst of concentration at your desk, or a moment of peace when your guests have gone, but a real, deep, out-in the-wilderness hour or two of pure aural emptiness? You’ll rarely experience silence at the cinema – even the films this blog celebrates are mostly shown with music either live or recorded washing over them. But if you are very lucky, a trip to the cinema means a good hour and a half when you and your companions will hold your tongue, and instead of making noise, will enter a new sonic world, constructed on the screen. That’s what makes the reflective new documentary In Pursuit of Silence so powerful. In between experts discussing the value of escaping the distractions and hums of modern living, there are scenes of dialogue-free calm, from a rippling green field in Iowa to a Remembrance Day silence in the offices of Lloyd’s of London. These scenes are shot with fixed cameras, meaning there is no “visual noise” of pans or zooms to disturb the serenity, perfectly illustrating the meaning of quiet stillness. The peace is both beguiling and refreshing, offering space for the film’s argument to seep in: the idea that by seeking out silence, we will find greater intellectual capacity, better health, philosophical wisdom, a fuller awareness of our surroundings, even equality and an end to conflict. The silence is seductive, but it is illusory. As the film points out more than once, silence does not truly exist: a zero-decibel rating does not exist in nature, and certainly not in our traffic-choked towns. In fact, as one silent evangelist explains, while taking readings in the middle of a frozen lake in winter, the greater the level of silence surrounding us, the wider our acoustic range. So if it is quiet enough to hear a pin drop, we might experience that thud from several feet away. 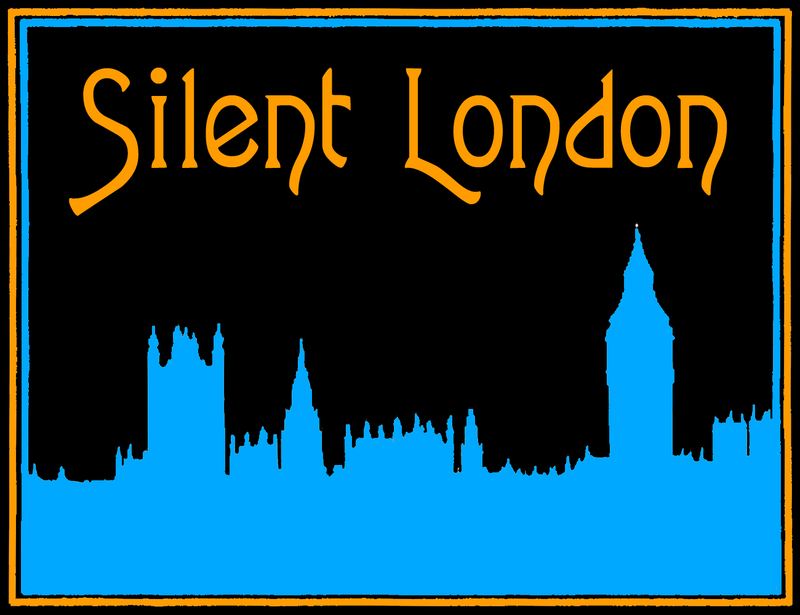 As the documentary shifts locations, touring some noise hotspots such as Tokyo, New York, London, and the world’s loudest city, which is apparently Mumbai, decibel readings appear on screen to show us how non-silent the silence is around the globe. We live with constant sound. There are schoolchildren in New York being blasted by train noise during their lessons, which has been proven to hamper their reading progress. The centre of a carnival parade in Mumbai reaches 107.8 decibels, and it is almost as loud on Bakerloo line. Even the places where we relax are swallowed in a storm of noise. Some restaurants in Manhattan have decibel readings so high that customers scream at each other across the tables, and the waiting staff should have the right to wear ear protectors, as if they worked on a construction site or in a factory. We know that sounds can distract us, but it turns out that this annoyance is dangerous, raising our stress levels and our blood pressure. Those distractions can also lead to cognitive confusion and, depending on the job you do, potentially serious errors … it’s a wonder we don’t raise the noise levels by running around screaming. Or at least turn our phones permanently to silent mode. It turns out that we really do need to be able to hear ourselves think. This documentary is fascinating and wide-ranging, taking in everything from the calming practice of the Japanese tea ceremony, to John Cage’s groundbreaking silent composition 4’33 and a hi-tech noise-free car to the misery of living under a flight path. I was particularly taken by the story of Greg Hinds, a young man who took a vow of silence and set off on a trek across America from New Hampshire to California, certain that by abandoning the noise of “electronics and entertainment” he would find something richer within himself, a peace and understanding moderated by his “constant internal dialogue” as he puts one foot in front of another. It’s very appealing, and even halfway into this film you may feel tempted to try out a month or two’s retreat in a Japanese monastery, but while the advocates of silence put forward their argument, and lament our lack of “earlids”, there is a balance to be struck. In the film’s pregnant pauses, I found myself calculating how many sweaty rock gigs, or orchestral film screenings I would swap for two days of serene stillness – because the absence of certain life-affirming noises would be too much to bear. Having recently left a job in a busy newsroom to work in solitude, I have been considering the benefits of quiet consideration versus lively conversation for a few weeks. A sequence in In Pursuit of Silence showing pundits ranting over each other on US TV news reveals the emptiness of their dialogue, as well as the shrillness of its pitch. Could it be that the less we have to say, the louder we say it? The line in this film that will really resonate with readers of this blog is: “silence is where we speak something deeper than our own words”. Anyone who appreciates the art of silent cinema will know that empathy, passion, faith, love and anger can all be expressed without dialogue, and when those emotions are untethered by words, they become all the more universally understood. This film reinforced my opinion that there is a value in silence that makes its pursuit worthwhile, that we should all turn off the alerts, and close the door sometimes. And that other times, also, we owe it to ourselves to escape to a quiet, faraway place if we can. I also treasured this film as one that raises interesting questions, and provides the space in which one can answer them.